-Play the world’s most exclusive courses indoors all year round. -Practice your yardages by gap testing on the indoor driving range. Spacious indoor room with on-site facilities makes it also ideal for parties, families and corporate entertainment. 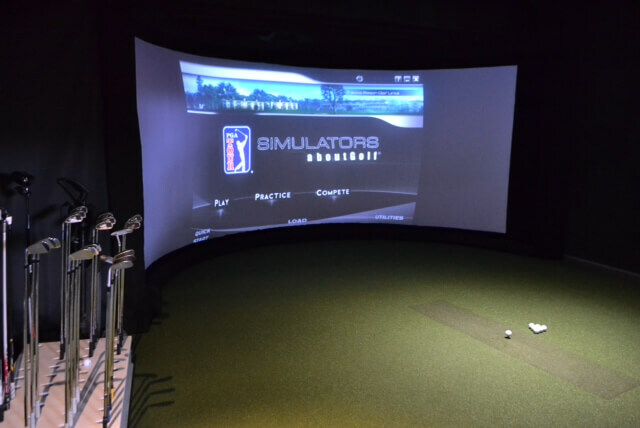 Introducing “The Curve” – our new state of the art golf simulator. 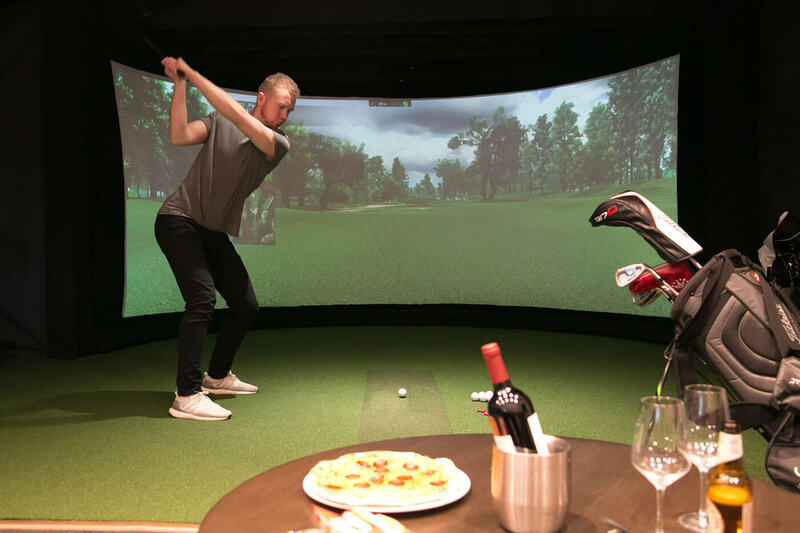 Our AboutGolf simulator is the most accurate, fun and visually stunning golf simulator available. Nothing takes the place of walking 18 holes. This is as close as it gets… The accuracy of this simulator is matched by none. Play famous courses like- St Andrews, Pebble beach and many more! With the Curve golf simulator you can play year round and whatever the weather.